Quickly produced posthumous music collections are often one of two animals: a primer on a now-deceased singer-musician who was underrated, underappreciated or, in too many cases, overrated; or a swift and easy way to capitalize on the recent passing of a genuine superstar. Both serve a commercial and cultural purpose, I suppose, but usually the music collected is standard fare and doesn't approach the artist's transcendent work. Something along the lines of Insert-Any-Dead-Artist's-Name-Here for Dummies. But every once in a while, a release allows you to (re)discover why a legend is considered a legend and leaves you wondering: "How did I miss this?" 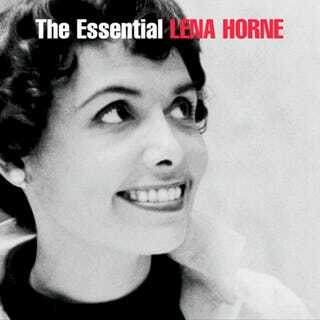 That's exactly what the recently released double CD The Essential Lena Horne (Sony Masterworks) does. Say her name and it conjures up thoughts of a stunning beauty with regal bearing, a possessor of sustained civil rights cred and the subject/object of an indelible image from the classic film Stormy Weather. But Horne, who died in May at the age of 92, and who in truth appeared only in a dozen films because she was blacklisted, was never considered to be in the chanteuse pantheon that rates Billie, Ella, Sarah and Dinah. Maybe it was because, unlike those singers, she was a triple threat who could also act and dance. (She joined the chorus line at the Cotton Club at 16.) And she was also drop-dead gorgeous, which, for many, reduced her to pin-up status. Horne made her bones primarily in nightclubs and especially in her Tony Award-winning one-woman show, Lena Horne: The Lady and Her Music, which ran for more than 300 shows on Broadway. She didn't begin the latter until she had officially "retired," in 1980. The new 39-song, two-CD collection encompasses her first recordings in 1941 to her live recordings through the end of the 1960s. Here, you can listen to the original 1941 version of the signature "Stormy Weather." Horne's voice was never the most powerful, but it was pure and sure. Where, say, Ella had phrasing and perfect pitch, Lena had diction. Yeah, there are those critics who say it was "clipped" or accented. It was neither. It was honest pronunciation. No Ebonics for her, unless she wanted to use it. What are revelatory here are six never-before-released tunes on the CD, including "If You Can Dream, Give Me Love" and "I Let a Song Go Out of My Heart." Two nightclub appearances are featured throughout the collection: a 1957 show at the Waldorf-Astoria in New York City and another in 1960 at the Sands in Las Vegas. Once you take a listen, you will understand the mammoth talent that Horne possessed, a talent that was sometimes obscured by her looks or her other offstage and off-mic activities. In the liner notes, she is quoted as saying when she turned 80: "My identity is clear to me now. I am a black woman. I'm free. I no longer have to be a 'credit.' I don't have to be a symbol to anybody; I don't have to be a first to anybody. I don't have to be an imitation of a white woman that Hollywood sort of hoped I'd become. I'm me, and I'm like nobody else." Nick Charles is a regular contributor to The Root.